Now, let's talk about the tools you will need to succeed. As the CEO of KCAA, I have a vested interest in the success of your show. First, the most important software you will need is a good digital editor. The best one for independent broadcasters is called "Audacity". You may download a Windows version here. A full selection, based upon your operating system is also available. Every day, I hear locally produced shows all across the radio dial that could be greatly improved to attract more listeners and gain essential advertiser support. 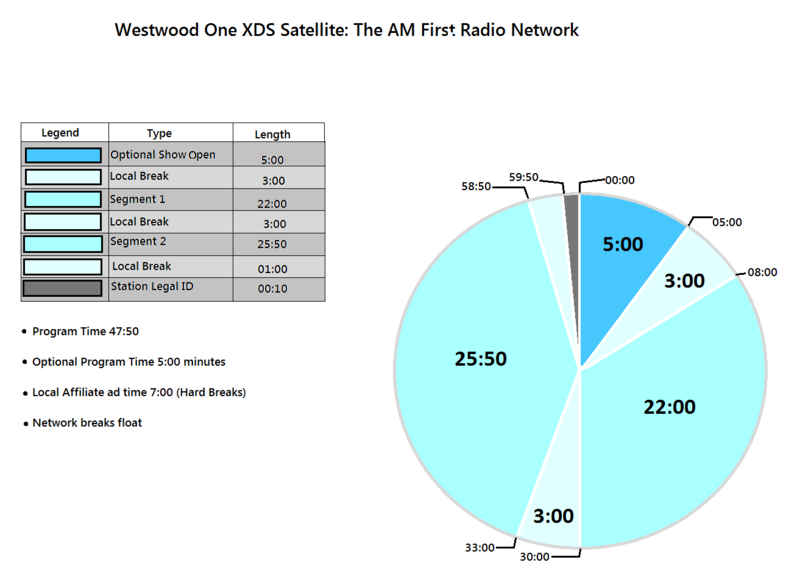 (1) Format your show by segments into an hourly pie chart. In radio, we call it a “clock”. We wil help you set up your show in this manner. This allows listeners to expect the same thing each day at a certain time during the hour. For example, if you conduct regular guest interviews, start them at the same time of the hour, followed by listener call-ins, more interview and more listener call-ins. This is an over-simplification, but the general idea is to create a program "rhythm" and to be consistent and predictable. (3) Always open with a synopsis of the program. In other words, (tell them what you are going to tell them). (4) Stick to your outline and move the program along, so your audience will hear the subject matter promised. In other words, (tell them what you told them you were going to tell them). (5) At the end of each hour and at the end of your program, make sure to thank all of your guests and callers - then summarize the program. In other words, (tell them what you told them) and always mention the program that will air after your program ends. Most people listen to a radio program on the run; a few minutes at a time. Others use it for background entertainment. Those who really listen and concentrate on the program for an extended length of time are the MINORITY of your audience. That minority of listeners will download your podcast to listen or watch your show for the full hour, so mention podcasts frequently and how your audience can download shows free of charge from the KCAA website. Keep in mind that your audience is under the same pressures you face each day. Your radio program may only be a momentary distraction so take full advantage of every moment you are on the air. Radio audiences are measured by “AQH”, the number of people who listen during a quarter hour and by “cume”, the cumulative number of people who listen at some time during the week. It is essential to prepare your program in advance. Commit to spending four minutes of preparation time for every one minute you spend on the air. Rehearse! Try out your program ideas on friends and family who will offer candid responses and suggestions. Always be mindful that your program is a business. It's essential to create a business plan around your program that includes long term sponsorships or product support. Establish some financial goals and reasonable timelines for reaching your goals. You may want to incorporate your show and sell a minority percentage of it to investors or use online fund raising services like these. Establish a business plan that covers the cost of your airtime for at least six months before you sign a contract with KCAA so you can concentrate on your program content and the future ROI of your sponsors and your program. You will not be a success overnight. However, you will succeed if you make a long-term commitment of time, enthusiasm and money. You may want to start with a lead based revenue generator such as http://www.infoworx.com that pays you for phone calls your program generates for their clients. It all boils down to having a conversation with your audience that holds their attention. This is very difficult to do if you talk at your audience and even more difficult if you ignore your audience. For God’s sake, never say, “For all you folks out there in radio land”. Also, you don't increase the size of your audience by insulting their point of view. Make those comments on Facebook if you must, but always respect your audience when you are on the air. Needless to say, profanity is prohibited by law. Announce your phone number when you're going into a commercial break and when you return from the break. Don’t beg for callers! If your program is provocative and interesting, listeners will continue to listen but they may not call you. Don IMUS would tell his audience, "It's my job to talk and it's your job to listen". So, do not make your program dependent upon callers. You are there to inform and entertain the audience. They are not there to entertain you. Stay in control. Keep the show moving with a sense of anticipation that borders on urgency and when you get calls, RESPECT THE CALLERS !!! Giveaways from sponsors always help to generate calls. Teasing upcoming shows and future giveaway promotions is another way to keep your listeners coming back and to build a loyal fan base. A lottery is illegal so don't do it. A lottery combines consideration, chance and reward. Always assume you have an audience, especially when you don’t get calls or if your sponsor/advertiser doesn't get results. Advertiser results and phone responses stem from listener trust, their comfort level with you and their need for a product that you advertise. Advertising a product today does not automatically translate to an immediate audience desire for the product. All this takes time to develop. When you are on the air, don't allow anything to take your attention away from your most important task, and that is to produce the best program possible. Show up in your best clothes. If you look and feel like a professional, you will sound and act more professional on the air. Don't show up looking like you are participating in a community car wash, especially if you are producing videos. Remember, your audience is also comprised of potential advertisers. Self promotion is essential. The days are long past when you could open the microphone and expect instant results. We live in an ocean of media and you must aggressively compete for attention. You must find ways to make your program known and make it a priority in the lives of as many people as possible. The social networks like Facebook, Instagram, LinkedIn, Twitter and a dozen more are essential methods of self promotion. You should use them for all they are worth, and do so daily. Also, video has become more important than ever. 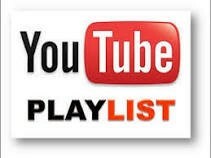 YouTube is the second most popular search engine in the world, just behind Google. Use it to promote yourself and you will benefit greatly. Write articles and press releases. Here is a website that allows you to self publish press releases. https://www.pr.com It is a skill you can develop. It's important to become a blogger and publish content consistently. Since 2012, I have written many articles that were featured in the Huffington Post. Take a look at some articles and stories I've written that generated "spin" for KCAA. HERE I also write in trade publications such as Talkers Magazine, Radio World and Radio Ink. You can do something similar to boost your show within the network of contacts you develop over time. At the same time you are doing all this self promotion, build an email list and send out emails for every show so you can build a following and sustain it. Here are a few more promotional tools. This Facebook tool will help you add to your fan base. http://www.spreaker.com Spreaker offers a group of services that support numerous aspects of your program. Spreaker is one of many KCAA’s multi media platforms. NOTE... We pay for your Spreaker license fee which gives you the opportunity to have a website on iHeart, which we also set up for you. There are two services that will enhance your Twitter account. The first is called http://www.twitlonger.com This service allows you to post long tweets and it’s great to have when you need to publish longer promotional articles about your program. 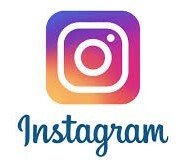 Here is a service that allows you to add Twitter followers and follow others in bulk, while removing fake and other undesirable followers... www.manageflitter.com This service is important for anyone wanting to quickly add thousands of Twitter followers. https://kindlepublishing.amazon.com This site allows you to publish your blog directly to Kindle. KCAA will help you, but we can’t do it all. You must be ready to do everything you can to promote yourself and your program. Start your campaign of publicity by getting yourself interviewed on KCAA's Morning Show and other KCAA shows. Offer to interview other show hosts in exchange for your time on their show. Distribute press releases about your program each time you book an important guest. Post the appearance of each guest on their Facebook page so their fans will follow them to your show. Trade out print ads about your program in trade publications, newspapers and local television where possible. Remember, they need to advertise too. Think of every legal way to promote your program. Think of ways to get free press. The press should be exploited. Ask any politician. Have you thought of getting trade outs for signs on the back of busses? Have you thought of making a trade for commercials with a car dealer who would agree to leave a brochure about your program in the seat of every auto they repaired, sold or rented? Have you thought of asking a car dealer to set the radio dial on every car repaired or sold to 102.3 FM or 106.5 FM or 1050 AM or, put KCAA on the TuneIn channel of new cars? For female on-air personalities, what about leaving brochures at your beauty salon? Almost all neighborhood vendors are willing to let you leave a small stack of promotional materials on their counters. Many will allow you to put posters in their windows. Offer them a few spots on the air for the privilege. KCAA will help here too. We offer you free ads to sweeten the deal for your advertisers. With the Internet exploding around us, KCAA can be heard and viewed in many ways. With our big NYC based servers and back up Cloud servers, we can handle all the Internet traffic you can generate, just don't use robots to generate fake traffic. Promote yourself like you were running for a public office. In many ways, you can relate the self-promotion necessary to be successful in radio to running a successful political or issues campaign. A side note here; in many ways, volunteering your services to a political or issues campaign provides you with an experience that parallels the promotion/campaign tools necessary to be a successful independent broadcaster. Realistically, radio is simply the bottom rung on the show business ladder. In the long run, listeners must like you enough to vote with their radio dial and Internet visits and by supporting the products you sell. In essence, your program on KCAA is ½ “Show" and ½ "business" and to be a successful broadcaster, you must succeed on both fronts. Since radio is ½ show and ½ business, you need certain talents to be successful. YOU DO NOT HAVE THE LUXURY OF THE COP-OUT, "I hate to sell” or “I can’t sell”. If you start with that attitude, you will fail, period! The best sales person you will ever have is looking at you in the mirror every morning. Ignore any tapes that might be running in your mind that say "I can’t sell", just go out and do it. On average, you will have to make 15 calls before you'll get one or two "be-backs". Keep making the calls and always follow up with the be-backs. Keep a daily diary of every sales call you make and review it daily. Without it you will get lost and lose sales. This is tried and true system. It works, so use it. You can hire a bird-dog, which is slang for a person who will get leads and make sales under your direction. You can hire a full sales staff if you have the budget but NEVER depend on sales people. No one can sell your show like YOU. For the first 2 1/2 years of KCAA's operation in the Inland Empire, I was KCAA's only sales staff. The occasional sale that walked in the door or made by a staff person was the only exception. In other words, I worked 2 ½ years before I hired anyone to sell for KCAA. In the year 2018, I remain KCAA's top salesperson. I put in more hours, I generate more leads and I close more deals than anyone because the buck stops with me. If you adopt that "do or die" attitude, you will succeed. BE YOUR OWN RAINMAKER !!! Make it happen. I was astounded recently to learn that one talk show host at KCAA was actually playing solitaire while on the air. Another was watching the Fox News (at our NBC affiliated station!) during a board shift. Yet, another was passing time on a personal phone call and taking care of private business matters while producing a live show. This is simply not acceptable. To be successful in this effort, you must respect the privilege of sitting behind the microphone. Would it be proper to play games on your smart phone during a presentation in front of a crowd? Certainly not, so don't do it while you are on the air at KCAA. Remember, even though you can't see your audience, they are grading you to determine if you are worth their time. 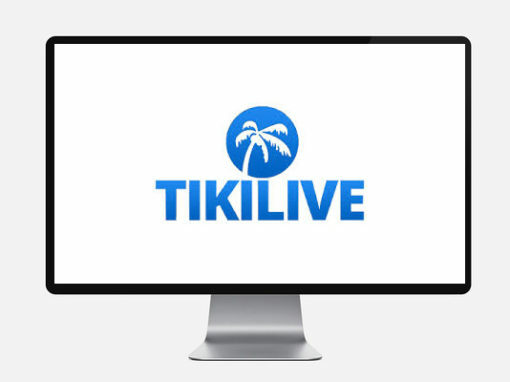 Many people are watching you on KCAA TV via Tiki Live and YouTube so let's talk about you and the camera. You should talk to the camera as much as possible. When you talk to the camera, you are talking eye to eye with each member of your audience. Your audience is behind the camera lens, not on your smart phone, not on your computer screen, not in your chat room, not in your email program and not in the studio control room with your engineer. If you are reading a script, read ahead a few words and then lift your eyes to the camera while you say those words and then move your eyes back to the script and back to the camera repeating the process. Move your head and body as little as possible. Don’t fool yourself. listeners and viewers can can hear and see the difference between someone who is “phoning it in” and someone who is giving 100% to their performance. Listeners can actually hear differences between the sound of a host who stands and a host who is seated during a performance. The sound of a host who stands during the performance delivers a sense of immediacy or urgency that is difficult to duplicate while seated. There was a time when hundreds of control rooms were rebuilt in a manner that forced the DJ to stand up through the whole shift. Obviously that nonsense stopped with the passage in 1990 of The (ADA), "Americans With Disabilities Act" but it demonstrates how far professional broadcast organizations have gone to create the best possible on air performances. We will be excited to help you organize and launch your program and assist you to use as many of these tools as you choose to employ. We are here to help you so please call me at (281) 599-9800. Finally, you will own the time you purchase from KCAA and you can charge any spot rate the market will accept. Here are some suggested spot rates from the current KCAA rate card. Rates begin at $200 per hour for 16 week broadcasting agreements. Programmer pays one month in advance with debit or credit card on file. Broadcaster earns a 10% discount if 17 weeks are paid in full at signing. Broadcaster earns a 15% discount if 26 weeks are paid in full at signing. Broadcaster earns a 20% discount if 52 weeks are paid in full at signing. Broadcaster earns a 25% discount if 78 weeks are paid in full at signing. Broadcaster earns a 30% discount if two years are paid in full at signing. Hello! 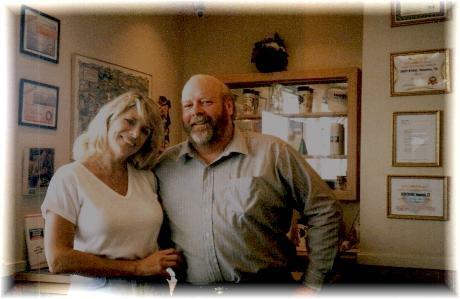 My name is Fred Lundgren, seen here with my beautiful and talented wife, Linda Carol Lundgren. We founded KCAA Radio in 1997. KCAA's signals reach five million people in the Inland Empire region of Southern California on 1050 AM, 102.3 FM and 106.5 FM. KCAA's online audio and video platforms reach listeners in 201 countries. We invite you to host a radio show on KCAA, a successful "stand alone" radio station. KCAA Radio is the GO-TO News-Talk station for the Inland Empire region of Southern CA. Please review all of our audio and video services. We provide a great listener experience which is enhanced by numerous state of the art audio and video platforms. KCAA is the exclusive NBC News affiliate for the Inland Empire region of Southern California, which is market # 25, otherwise known as the Riverside/San Bernardino market. The KCAA signal also reaches into portions of the Los Angeles and Palm Springs Market. 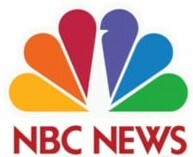 Our network affiliations with NBC News, CNBC Business News and NBC Sports News allows our broadcasters to display the NBC Peacock on websites, social media sites, on all sales and promotional materials including your business cards. 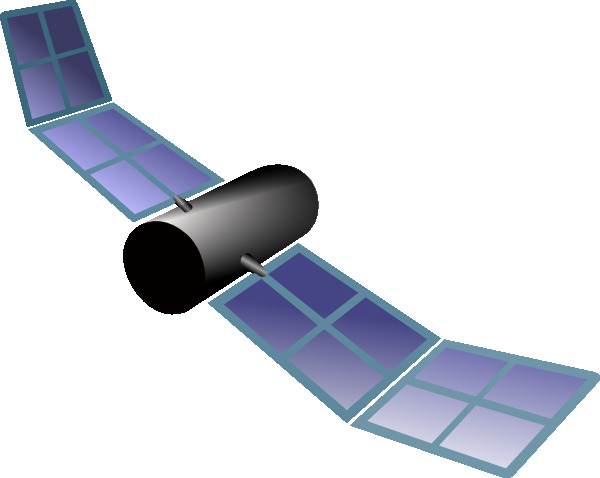 We also offer national satellite syndication which will make your show available to over 5500 radio stations across North America. KCAA has a syndication agreement with "Global American Broadcasting," The (GAB Radio Network). The rate for this service is only $125 for one hour weekly programs. So, for $325 per week, KCAA will produce, distribute, broadcast and syndicate your show. KCAA broadcasts some of the highest rated shows in the history of American Talk Radio. If you choose to air a program at KCAA, you will be listed with the top ranked talkers. At KCAA, we guide you through the process of establishing yourself as a professional talk show host. We provide full hourly blocks of airtime for $200 to $250 depending upon when your program is aired. Our rates include program production so contact me, Fred Lundgren, at at (281) 599-9800 or email me at ceo@kcaaradio.com. KCAA broadcasts on three terrestrial frequencies. KCAA 1050 AM is licensed to Loma Linda, California. Our two FMs operate on 102.3 FM Riverside, and 106.5 FM, Moreno Valley. Our Internet stream finds listeners in 201 countries. KCAA is an independent station. We're not owned by Wall Street. We make all programming decisions locally. Our three transmitter sites are strategically located to provide the maximum service to the Inland Empire. Our state of the art main studios are located in Redlands, California in the Tri City Center. We also have a full service studio in Encino, California located at 16,200 Ventura Blvd, where shows are produced for broadcasters in the Los Angeles area. Broadcasters in the Los Angeles area who want shows produced in Los Angeles should call our LA Business Director Gary Garver at (818) 439-3651. Inland Empire area broadcasters should call (909) 793-1065 and ask for General Manager Mark Westwood. For shows broadcasting from outside Southern California, please call Fred Lundgren at (281) 599-9800. Regardless of your location, we invite your calls and the opportunity to introduce you to KCAA and our ever growing list of services and broadcasting opportunities. Currently, KCAA produces more than 50 programs each week on subjects ranging from business and sports to political talk, plus shows about vegan diets, organic farming, general health and nutrition, marijuana legalization issues, a shopping show filled with Hollywood gossip and of course, late night shows about things that go "bump in the night" and a lot more. House of Mystery Weeknights 1-2 a.m. Brother Stair Weeknights 2-5 a.m.
Good Day Weekday 5-6 a.m.
On the Brink Weekdays 6-7 a.m.
Stephanie Miller Show Weekdays 7-8 a.m. Controlled Chaos Weekdays 8-9 a.m. Morning Specials Weekdays 9-10 a.m.
Ray Lucia Weekdays 10-11 a.m.
Lifestyles Unlimited Weekdays 11-12 p.m.
Dave Ramsey Weekdays 12-1 p.m.
Phil's Gang Weekdays 1 to 2 p.m.
Thom Hartmann Weekdays 2-3 p.m.
KCAA Productions Weekdays 3-5 p.m. The Sports Circus Weekdays 5 to 6 p.m.
KCAA Productions Weeknights 6-9 p.m.
Kate Delaney Weeknights 9 p.m. to 1 a.m.
KCAA's demographics are broad due our program diversity. Our weekday talk programs attract listeners of age 18 and older. Our weekend programming includes music and variety programs that attract ages 18 to 34. Most of KCAA's terrestrial audience is comprised of well-established, long-term residents of their communities. Our stations broadcast a wide variety of entertainment programming, plus political and non-political issue programs that represents liberal, conservative, libertarian and independent points of view. Our nationwide online audience attracts a general audience from a wide background. KCAA is owned and operated by dedicated people who understand the radio business. KCAA is large enough to provide a valuable service and small enough to give you the personal attention you deserve. If you have a business or interest group seeking turn key broadcasting services with a branded flag ship facility, please email me at ceo@kcaaradio.com or call me at (281) 599-9800.